New! June 2009! 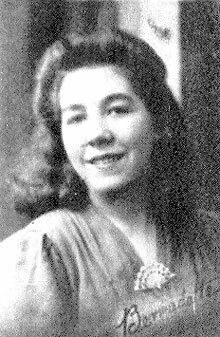 Click on the play button below to view a YouTube video of Mrs. Isobel Zoe" Boone, a Scottish War Bride from Aberdeen who came to Canada on a Trans-Canada Airlines flight out of Prestwick Airport in in December, 1946. In this section you will find stories of the Canadian War Brides, of love, war and the romances that led to 48,000 marriages between Canadian servicemen and their British and European brides from 1940 to 1948. Special! Click for larger image. World War One War Bride Grace Clark describes her journey to Canada on board the Melita. Click image for larger view. Eswyn Lyster describes her wedding day and her journey to Canada on the Mauretania. If you would like to contribute YOUR story please send us an email with your story written up and any photo attachments. Click for larger image. 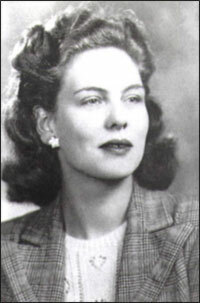 Bea Surgeson was 18 years old when she met her husband Norman in England. 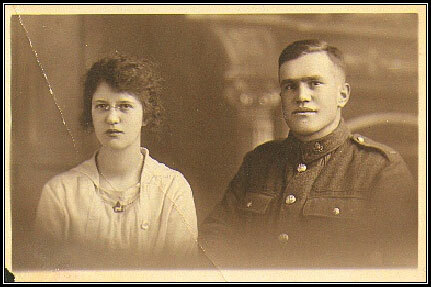 Frame your War Bride History. Click here for more information. Stories which have been submitted by email will appear on this site in the next four to six weeks. Please be aware that this website is entirely a private, volunteer initiative and I maintain it in my free time, so if I am tardy, don't feel shy! Send me a reminder ! Hunter, Audrey (nee Rodgers) Robinson - England NEW!! If you would like to contribute YOUR story to the list above, please send an email with your story written up and any photo attachments. Expect four to six weeks for your story to be added to this list. You can also join the War Brides E-Mail listserv and keep up to date on the latest news about War Brides around the world!